If you’re considering taking Topiramate for weight loss or chronic migraine, I hope I can get you to reconsider. I received a Topiramate prescription after a month of dealing with chronic headaches and migraines. My head pain was thought to be a side effect from a hormonal treatment I was receiving for endometriosis, but I’ve dealt with chronic headaches for years. My doctor proposed it might also help me with weight loss, a minor issue for me at a size 14, but one I’ve struggled with my entire life due to hypothyroidism and other hormonal issues. 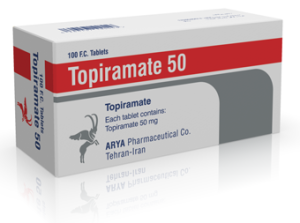 Topiramate is the generic version of the pharmaceutical drug Topamax. It’s prescribed for chronic headaches, and now it’s being used in trials for weight loss, but it is actually and traditionally an anti-seizure medication. Medications are often developed for a specific purpose, such as treating seizures, but when patients find that it works to treat other issues, Big Pharma loves to take these opportunities to find a new audience for their drug. It’s all about making more and more money, less about relieving pain and symptoms. There are much better ways to lose weight than a nasty chemical like this. I believe that most pharmaceuticals just mask symptoms, and usually don’t address or resolve the source of the pain. But when I’m in chronic pain, moments of desperation will lead me to try whatever is being presented as the possible solution to my pain. I want to be able to trust my doctors, but more often than not, their solutions lead to some sort of drug. I started on the recommended half-dosage, with advice to increase it to the full dosage of 200mg after two weeks. I stopped taking it after 1 week, when I found myself wanting to be dead. Within 24 hours of taking the half-dose, the edge on my chronic migraine diminished and was replaced by a cloud fog. While the pain was improved, I could not think clearly, complete full trains of thoughts or actions, and I felt numb and disconnected. After three days of taking this drug, I just stopped getting out of bed. I was in such a cloud, I didn’t feel like I do anything. Conversations were difficult. I couldn’t remember what I was doing halfway through trying to do ANYTHING. As much as I was in pain before, I was now completely disfunctional. Many of these I was already experiencing due to other medical issues, but they were magnified when I started taking this drug. I experienced all of these in one way or another. 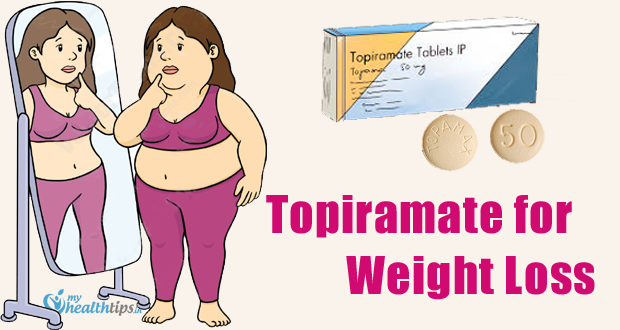 I lost a total of 10 pounds in the one week I was on Topiramate, but I also didn’t eat AT ALL. I completely stopped eating because I had zero appetite, and life kind of felt pointless. Please recongize, this is not the best way to lose weight. and rapid breathing, irregular heartbeat, broken bones, loss of consciousness, or unusual bleeding or bruising. Of these last listed, I only experienced a severe mood change and severe thoughts of committing suicide. I can only assume my doctor missed my history of depression, because the drug comes with a warning of causing extreme mood changes, including suicidal thoughts or actions. Anyone who has any history of depression should stay far, far away from this type of medication. I’m lucky enough to have the self-awareness to recognize the difference between my own thoughts and ideas, and those that are being affected by other sources, drugs or medical conditions. I also pay attention closely to my symptoms, because I’m looking for something to honestly heal me. Since I had a full bottle, that seemed like the easiest option. I was sick of being in bed. I felt numb. I felt alone, despite constant attention from my husband and my mom. I felt like a burden and just wanted it to be over. Recognizing how “unlike me” it was to Google something so awful, I shut down my computer before reading anything and decided I would stop taking the Topiramate. That was day seven. The next day, my migraine started to come back, but I was thinking much more clearly and the depressing numbness was gone. After going back to my doctor and letting her know what happened, she agreed that this was not the best prescription for me and even suggested she had a poor experience with it herself. Why do doctors prescribe thing they know don’t work? …a question for another time. Since the Topiramate was not a success, I continued to work with my doctor to see if we could find why I was having these migraines. I got a CT scan of my brain that showed a normal, so for a while we assumed it was a hormonal or auto-immune issue. Finally my doctor noted some redness in my ear indicating an ear infection. I was prescribed antibiotics and, although the headaches aren’t 100% gone, the migraines cleared up. The moral of this story is, you don’t have to accept every prescription that gets thrown at you. You know yourself better than any doctor does. Keep fighting for answers behind WHY you are in pain or can’t lose weight, and don’t just choose to mask your problems with drugs that could make the situation worse and turn you into a zombie. I have been compiling my own natural solutions for migraines to help me overcome some of the pain that comes with them until I can get to the bottom of why they are happening. I also have a way better solution for weight loss, a natural one, and it actually has worked quite well for me. What’s Your Experience with Topiramate or Topamax? Please share in the comments below. And if you have any questions, I’m happy to help answer them. What a scary experience. Thank goodness you got off of it. I deal with depression and have been on 4 different medicines all with varying side effects. I’m so happy to hear you’ve got a doctor helping you find alternatives to pharmaceuticals. Depression is one of the most mistreated things, as it can be caused by so many different issues. I truly wish you the best in finding happiness. Thanks for stopping by. What an awful story! I am happy to read you got rid of the harmful medicine. Shame on your doctor to prescribe you this stuff knowing it was no good. You are right that Big Pharma rather keeps us sick taking something with side effects so more medicine can be prescribed.It is a scandal how we are being treated. My anti-aging doctor told me a little trick to losing weight. The word breakfast one can divide in 2. Break-Fast. If you prolong the time you do not eat, like from 21,00 in the evening to the next day starting at 13.00 your “fasting time will be longer. After having digested the dinner and not getting breakfast the body automatically uses up some body fat. It really is worth trying. Wishing you all the best and stay healthy. I love the fasting trick from your doctor. I’ve heard that’s helpful, too. Thank you so much for visiting and offering support.